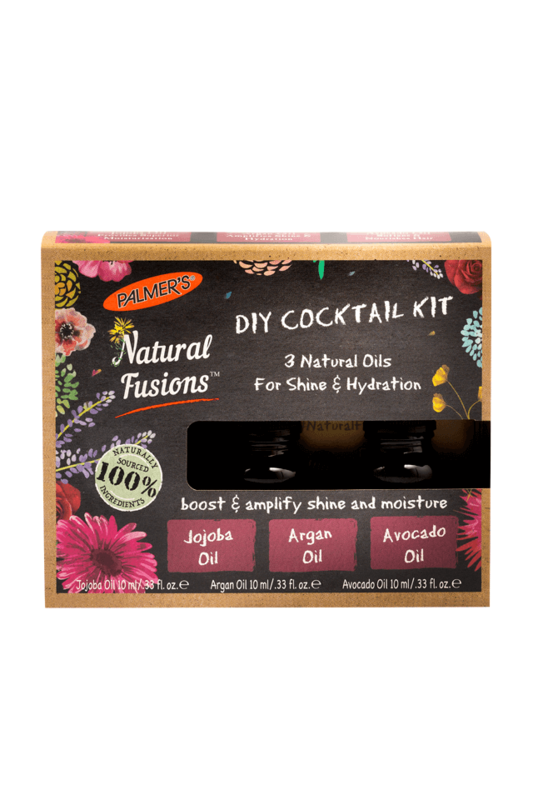 These three 100% essential oils can be "cocktailed" into your hair products to amplify shine & boost moisture. Can be used alone, or added to shampoo or conditioner for a boost. Includes recipe booklet. Jojoba Oil – A rich source of essential fatty acids and anti-oxidants, jojoba oil moisturises hair without leaving build-up. Argan Oil - Commonly referred to as “liquid gold” and has twice as much Vitamin E as olive oil. Rich in essential fatty acids and vital antioxidants. The gold standard in regenerating dull, lifeless hair. Mix 2-3 drops of your chosen oil into your shampoo, conditioner or styler for a moisture boost. Mix together before application. Use as often as needed. See enclosed recipe card for further cocktailing tips & tricks.